Starring: Naomi Watts, Simon Baker, David Dorfman, Elizabeth Perkins, Gary Cole, Sissy Spacek, Ryan Merriman and Emily VanCamp. Jake (a teenager) asks his date to watch the cursed videotape of Samara Morgan and leaves her alone to watch it. Meanwhile he behaves weirdly in the next room struggling to let 2 minutes pass. Emily ( Jake’s girlfriend) plays the videotape and after sometime Jake sees blood coming spreading on the floor from the next room where Emily is watching the tape. He opens the door and finds the tape still running and Emily sitting with eyes shut with her hands. He asks her whether she watched the tape and she says that she was scared so she just played it but didn’t watch it. Just then Samara comes out of the screen and grabs Jake. Later then Jake’s body is found in the house whereas Emily is in a state of shock. Six months after the events of The Ring, Rachel Keller with her son Aidan move to Oregon in a need to put the past behind and live peacefully. She begins her new job at the local news paper, working for Max Rourke. Not long after she started the work she goes to investigate the murder of a teenage boy, Jake. She sneaks in the ambulance to have a look at the body and sees the horrific expression of his lifeless face. She then sees shocked Emily as she is being taken by the cops to investigate. She follows them and after a 2-minute struggle, talks to Emily and tries to know about the tape. She visits Jake’s house in the night and gets the tape and burns it completely. Meanwhile, back at her place, her son is sleeping alone in the house. He suddenly wakes up (it is supposedly his dream) and goes downstairs to look for Rachel, but instead he finds the cursed videotape running on the TV. Suddenly Samara comes out and grabs him, he then wakes up and when asked by Rachel, tells nothing about it claiming he doesn’t remember. He starts developing hypothermia and develops weird bruises on his body. His behaviour gets increasingly distant and weird. Rachel starts observing paranormal activities around her. Eventually Adian clicks some pictures at a fair, in the wash-room’s mirror and find Samara coming close to him in each click. Then some weird stuff happens to them and finally Rachel realising Samara’s intentions to hurt them, runs from their home with Aidan to her office. There she asks Max to take care of Aidan while she goes to her place to pick some stuff, making Aidan sit in a tub with hot water to raise his temperature. While she’s away, Aidan’s bathroom doors slams shut on its on and after a dramatic scene Rachel finally comes and tries to open the door. The door unlocks on its own revealing Aidan Sitting in the tub with water all over the room except for the tub. And suddenly she sees creepy hands on Aidan’s back clutching him tightly. After this horrific scene Max insists her to take Aidan to hospital. Aidan repeats himself again and again that she can’t listen when we sleep. There the doctor starts to doubt Rachel for abusing Aidan because of the bruises on his body. Then after a long series of events (Rachel visiting Samara’s birth mother) Aidan, possessed by Samara leaves the hospital, killing the psychiatrist to go to his ‘mommy’ and eventually kills Max for trying to reveal that truth of Aidan’s possession. when Rachel visits home she is stunned to find Aidan sitting at home (as he is supposed to be in hospital) and also his over loving and cute behaviour. He calls her mommy, which is weird as he proffered calling her Rachel. She then finds Max’s body with the same horror-struck face, realising that Aidan is indeed possessed by Samara. She then goes in her room crying and falls asleep. In her dream she talks to real Aidan and he tells her to drown his body in water as Samara is scared of water. She then wakes up and gets the possessed Aidan to eat drugged sandwiches and takes his body to filled bath tub and drowns him. Samara leaves Aidan’s body and Rachel is able to retrieve Aidan. In the end she goes and turns on the video and lets Samara drag her into the video. She is in the well where Samara died and she sees that the lid of the well is half open. She climbs the wall of the well to get out but Samara follows her but somehow she gets out and pushed the lid closing the well completely. She then hears Aidan’s voice and follows it and finally she reaches the place from where Anna Morgan jumped. Rachel jumps and then wakes up in her body lying in her home in front of the TV where Aidan was with her. She hugs Aidan and assures him that Samara won’t trouble them anymore. 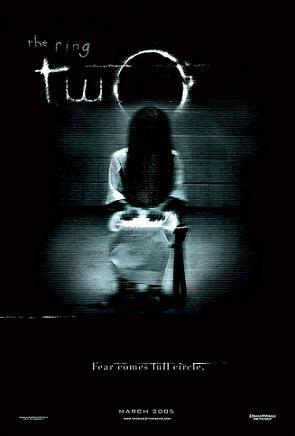 The Ring Two had all the elements a horror flick should necessarily have. It’s a great movies with appropriate suspense and an equally good ending! Infact the last scene where Samara climbs or rather walks on the wall of the well, freaked me out so much that in the night I dreamed about drowning in water, lol! This movie is really a must watch. The movie gives you what it promises and the acting of Naomi Watts was great. 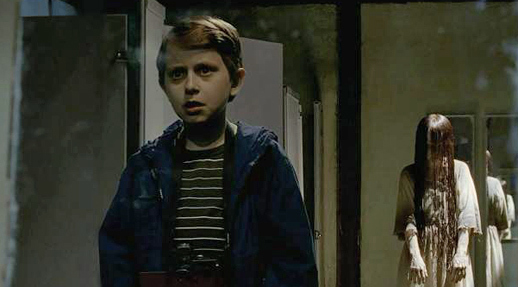 The child also looked great for the part, he was really creepy and weird and that’s what made it a success. 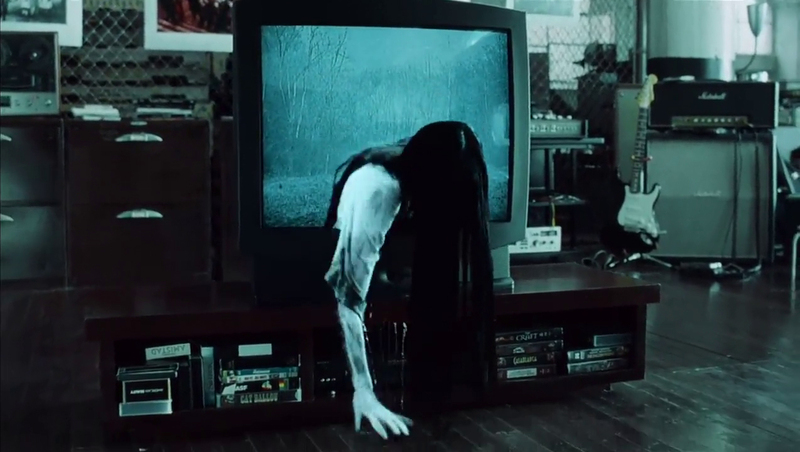 And Samara, well she is really by far one of the most creepiest and scariest ghost I’ve ever seen! Wow! You really are a movie buff! I have seen only Orphan out of these but will surely watch the others as well. Me too! And even I liked it a lot.